The winners will be announced at the GRC Annual Meeting & Expo in Reno, Nevada, USA. The Geothermal Resources Council (GRC) is reminding the community of the deadline for nominations for this year’s GRC Awards. The awards recognize distinguished colleagues in the geothermal community from around the world and have been a highlight of the geothermal calendar since the late 1970’s. The winners will be honored at the GRC Annual Meeting & Expo in Reno, Nevada, USA from October 14–17. More information on the GRC Awards, including a nomination form, can be found on the GRC website. The deadline for nominations is July 6, 2018. Northern Lights Over a Well Protection Dome in Hellisheidi and the Nesjavellir Power Plant [First Place GRC Photo Contest 2017] by Bastien Poux, Pontoise, France. More information on the GRC Amateur Photo Contest, including a submission form, can be found on the GRC website. The deadline for submissions is August 24, 2018. The Geothermal Resources Council (GRC) is pleased to announce the appointment of Dr. William Pettitt as the association’s new Executive Director, taking up his duties on July 9. Dr. Pettitt is an applied geophysicist with both business and technical management expertise. 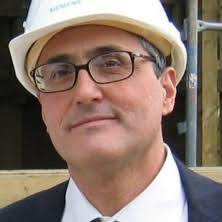 He is an expert in induced seismicity, microseismics and geomechanics. 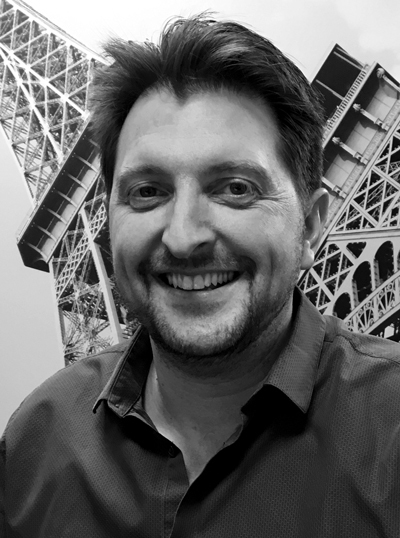 He has been General Manager and Vice President of Itasca Consulting Group in Minneapolis, Minnesota and Operations Manager for Applied Seismology Consultants in the United Kingdom. Will has focused on helping industry, government and academia solve challenging problems in subsurface engineering. He is the creator of leading commercial microseismic software, and has developed unique data-acquisition equipment. He has published on a wide range of topics, is a frequent keynote speaker, and has participated in government and organizational committees. Will is bringing the combination of his applied science and engineering experience with business management expertise to help the merged GRC and Geothermal Energy Association (GEA) organization develop to the next level, and help support geothermal industry development through our mission of promoting sustainable energy, supporting new science and technologies, and providing resources for education and learning. Geothermal is an unlimited natural source of energy and can play a significant role in meeting the world’s energy needs, Dr Marit Brommer, Executive Director of the International Geothermal Association, said at the 2018 IADC World Drilling Conference in Copenhagen, Denmark, on 20 June. The drilling industry has a role to play in exploring that potential, she noted. In this interview with Drilling Contractor Managing Editor Linda Hsieh, Dr Brommer discusses how geothermal can support the transition from a fossil fuel to a renewable-based economy, as well as the Iceland Deep Drilling Project. Mexico government agencies and the IDB will host a pre-GEOLAC market briefing on July 16th which will provide detailed information on the Geothermal Financing and Risk Transfer Program. This major new program is designed to fund and catalyze the development of geothermal projects in Mexico. The briefing will outline eligibility criteria for participation in the program and is essential for any participants, current or potential, in Mexico’s geothermal market. Introduction to the Program and Welcome Remarks (IDB, INEEL, SENER, NAFIN). Geothermal Financing and Risk Transfer Program: Operational Game Rules (NAFIN, SENER, INEEL). Environmental and Social Impacts (ERM, INEEL). Presentation of all existing environmental and social impact studies and data for current concessions. Marubeni Corporation is pleased to announce that PT. Supreme Energy Rantau Dedap, which is owned by Marubeni, ENGIE S.A., PT. Supreme Energy, and Tohoku Electric Power Co., Inc., signed a loan agreement for limited-recourse project financing in March 2018, and initiated construction of its geothermal power plant for the Rantau Dedap Geothermal Independent Power Project, located in the Republic of Indonesia in April 2018. PT. Supreme Energy Rantau Dedap will construct a 98.4 MW power plant in the South Sumatra province of Indonesia, and all generated power will be dispatched to PT. PLN (Persero) under a 30-year Power Purchase Agreement. Mexico is considering the introduction next year of a dedicated price support mechanism for geothermal energy outside its technology-neutral auctions dominated by wind and solar. Mexican energy ministry SENER’s European representative Nelson Mojarro said it has a “strong preference” for the development of projects outside the “huge concentration” of renewables in the south-east region of Istmo de Tehuantepec. “We understand it is more challenging for certain technologies and we are considering whether there needs to be another auction for other technologies specifically to boost geothermal,” he added. 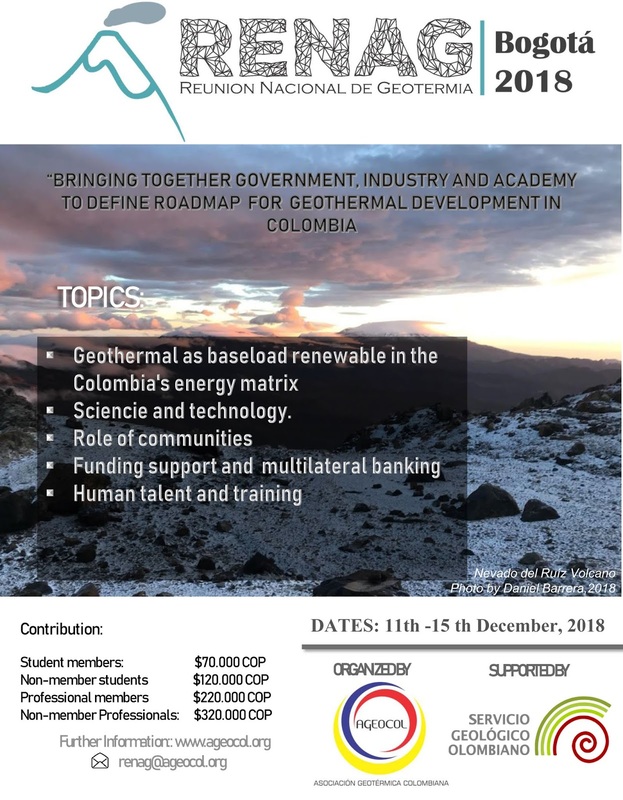 "Bringing Together Government, Industry and Academia To Define the 2030 Road Map For Geothermal Development In Colombia"
The Colombian Geothermal Association (known as AGEOCOL, its acronym in Spanish) proudly invites you to participate in the 3rd Colombian National Geothermal Meeting (RENAG 18), to be held in Bogotá in December 2018. This video essay explores the issues raised by Stockholm Environment Institute (SEI) research on the risks and uncertainties Kenya must address to continue its development of geothermal power. The research is part of the EU-funded project, Transitions Pathways and Risk Analysis for Climate Change Mitigation and Adaption Strategies (TRANSrisk), which aims to foster greater understanding of how to make transitions to use more sustainable energy sources. Talks over a 1,000km (620 mile) long, 1,000 MW cable have been on the cards for decades but Bjarni Benediktsson said the project would need to “pass a lot of hurdles”, including environmental and planning concerns, before being approved. 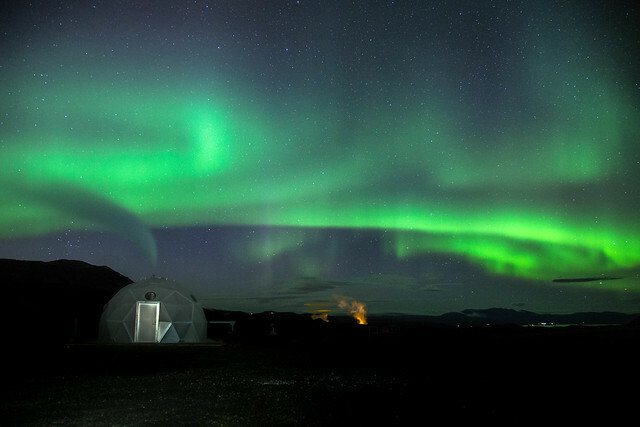 The project would use the power generated by Icelandic volcanoes to fuel British households. He added: “When you look at a project like the cable you will always have to look very long-term. Construction is due to start in 2019 and the project will include 18 million tonnes of copper and 13 million tonnes of aluminium. President Uhuru Kenyatta has challenged the contractor working on the Nairobi-Naivasha Standard Gauge Railway (SGR) line to have it completed before Madaraka Day on May 31, 2019. The 120km stretch will traverse five counties including Nairobi, Kajiado, Kiambu, Nakuru and Narok. The SGR project is expected to boost tourism, agro-processing and industrial development in the geothermal-rich Rift Valley. The CHPM2030 project is working on a novel, potentially disruptive technology that combines geothermal energy and mineral extraction in a single interlinked process: Combined Heat, Power and Metal extraction, or in short CHPM. This technology aims to increase financial feasibility of geothermal projects, by recovering valuable metals (e.g. Au, Ag, Sn, Fe, Li, REE, etc.) from the geothermal brine. Therefore, the geothermal reservoir is chosen as such, that it coincides with a deep metal enrichment, allowing for both geothermal and mineral potential. The project is currently conducting a two-round Delphi* survey that maps future development of uncertain but important areas for CHPM technology application. During the 1st round of this Delphi survey conducted in May 2018, more than 100 experts have participated worldwide. The project now is conducting the second round and is again calling for experts in the field of geothermal and/or minerals. The new form already includes the overall opinion of the sector and encourages participants to comment in the light of previously provided expert opinions and insights. The survey also aims to analyse emerging issues of different aspects of the CHPM technology, many of which have been identified in the first round. To learn more about these identified emerging issues, and reflect on them, please email Tamas Miklovicz (tamas.miklovicz_at_lapalmacentre.eu) to participate. The deadline for participation is 6 July 2018.
International Finance Corp. (IFC), the investment arm of the World Bank Group for the private sector, has launched the Mabuhay Bond – the first peso-denominated green bond in the Philippines – to bankroll the optimization program of Lopez-led Energy Development Corp. (EDC). The Philippines Department of Energy is set to conduct a study on the geothermal energy potential in three communities in the region. The Buguias – Tinoc and Tuba-Pugo geothermal fields are DOE’s study projects along with Mt. Malindang in Misamis Occidental; Mt. Sembrano in Rizal; Mati – Lupon Tarragona and Coron, Palawan geothermal fields. DOE – REMB Geothermal Energy Management Division Chief Engr. Ariel Fronda said the geothermal energy potential study they will be conducting will only include a geological and geochemical survey. This means that they will only be collecting rock, soil and water sample for laboratory testing and when results warrant a geophysical testing, they will again meet and talk with local stakeholders for such purpose. He disclosed that aside from confirming if their area is a possible geothermal energy resource , the study will also provide information on how the localities and stakeholders can better manage the presence of geothermal resources, as well as on the possible threat it may bring, if there may be. The U.S. Department of Energy (DOE) today announced up to $4.45 million to address early-stage challenges that currently limit enhanced geothermal systems (EGS) development. The Zonal Isolation for Manmade Geothermal Reservoirs funding opportunity announcement (FOA) will fund 4-10 projects that will address technological improvements to the productivity of individual wells and EGS reservoirs. The selected projects will aim to develop reliable zonal isolation methodologies that present low risk to wellbore integrity or the conductivity of the fractures, can withstand large pressure differentials, and can operate in high temperature, corrosive, hard rock environments for extended periods of time. FOA applications must be submitted by 5:00 p.m. ET on July 25, 2018. The international community mourns the loss of Ruggero Bertani, one of the most influential individuals, who has played a remarkable and incredibly important role for the global geothermal energy industry through his work at Enel Green Power, EGEC and at the International Geothermal Association (IGA). Geothermal power leader Energy Development Corp. (EDC) officials in Negros Oriental have assured that the geothermal power plants in Valencia town are designed to withstand earthquakes. The assurance comes as the 2nd national earthquake drill was held Thursday in many local government units and schools across the country. “The design of our power plants here are intended to withstand strong earthquakes so normally we don’t have problems with the current quakes,” Omandam said, referring to recent earthquake events recorded in the province in relation to the local faults found here. The U.S. Department of Energy (DOE) today announced an agreement with New Zealand’s Ministry of Business, Innovation and Employment (MBIE) to collaborate on the advancement of geothermal technologies. A symposium on applications and enhancements to the TOUGH codes for multiphase fluid, heat, and chemical transport will be held at the Lawrence Berkeley National Laboratory (LBNL), October 8–10, 2018. The TOUGH Symposium 2018 will consist of oral and poster presentations. Depending on demand/interest, “short courses” on select TOUGH codes are tentatively scheduled immediately preceding and/or following the symposium. The purpose of the symposium is to bring together users of the TOUGH family of codes (which includes TOUGH2 (and TOUGH3), iTOUGH2, TMVOC, TOUGHREACT, TOUGH-FLAC, TOUGH+, TOUGH2-MP, and many others) for an open exchange on applications and recent code enhancements. Darajat is a vapor-dominated, producing geothermal field in West Java, Indonesia. Located along a range of Quaternary volcanic centres, it is associated with an eroded andesitic stratovolcano, and its reservoir is predominantly comprised of thick lava flows and intrusions in a stratovolcano central facies (Rejeki et al., 2010). First production from the field was started in 1994 with the installation of a 55 MW plant, and capacity was added in 2000 and 2007 to bring the total to 271 MW. Several ground geophysics data sets have been acquired during successive surveys – including gravity and magnetotelluric (MT) surveys, and continuing micro-earthquake (MEQ) monitoring (Soyer et al., 2017). While each survey was independently modelled and interpreted, a quantitatively integrated 3D inversion modelling study had not been undertaken. We present a joint 3D inversion workflow, incorporating the production field model as a structural reference in order to derive mutually consistent subsurface resistivity, density and velocity distributions, as well as relocated MEQ events. Geologically consistent multiphysics imaging of the Darajat geothermal steam field, by Wolfgang Soyer, Randall Mackie, Stephen Hallinan, Alice Pavesi, Gregg Nordquist, Aquardi Suminar, Rindu Intani and Chris Nelson. First Break: Issue: Vol 36, No 6, June 2018 pp. 77 - 83. It’s called ‘spudding.’ It’s the process of beginning to drill a well in the oil and gas industry and Borealis GeoPower is doing it near the Kinbasket Reservoir – but it’s not oil they’re drilling for. Borealis GeoPower, a Calgary-based energy company began drilling on Monday, June 11, and they aren’t looking for oil. They are looking for heat radiating from the earth’s core, finding its way up through the Rocky Mountain trench. The four geothermal test wells, if successful, could give rise to the first geothermal power plant in the country, potentially supplying the valley with stable local power. The test well will show how the temperature increases with depth and, with luck, will confirm the exploration work already been done in the area over the last eight years. This is the first exploratory drill hole in the area despite an interest in the area’s geothermal resources dating back to the 1970s. Renewable energy provides almost all electricity in Iceland. But what is about Iceland's unique geology that allows it to produce such cheap renewable energy? A signing ceremony of two grant agreements took place at the Ministry of Finance and Economic Cooperation (MoFEC) between Admasu Nebebe, Ethiopian State Minister of Finance and Economic Cooperation, Frederic Bontems, Ambassador of France to Ethiopia and Mr Ignace Monkam-Daverat, the French Agency for Development (AFD) Regional Manager in Addis Ababa, for a total of 18 million euros. With the second agreement, 8 million euros grant will be provided in contribution to the Tendaho Geothermal Development Project. It is funded by the European Union, through the European Union Africa Infrastructure Trust Fund (EU-AITF). This investment grant constitutes an additional funding to this project, which already benefited from a 9 million euros concessional loan from AFD and a total of 7,5 million euros from previous EU-AITF grants. The financing will enable to complete the drilling activities planned as part of the geothermal exploration and development effort in the Afar region. The activities will focus on developing a shallow reservoir in Tendaho in order to allow a sustainable exploitation with a capacity of an estimated 10 MW, and on exploiting a deep reservoir by drilling wells at great depth. A Public Private Partnerships (PPP) disclosure portal has been launched by the Cabinet Secretary, National Treasury and Planning, Mr. Henry K. Rotich EGH. The portal is a centralized database of real time PPP project information across all stages of project development and operation. Geothermal energy is a renewable and currently untapped energy source with the potential to cover approx. 30% of Denmark’s energy supply for district heating, equaling the heat consumption of 500,000 households. That is one of the promising claims from A.P. Moller Holding who is seeking to introduce geothermal energy on a large scale in Denmark. There are currently three minor geothermal plants in Denmark, but A.P. Moller Holding presents a new business model which differs from the existing projects. A.P. Moller Holding is responsible for exploration, construction, and operation of the plants. Hence, the consumers will not end up paying the bill if things should not proceed as planned. European Research Area (ERA) NET Cofund has selected nine high quality trans-national projects on geothermal energy for funding. The total investment in the projects is close to € 50 million. About half is funded by Geothermica and the other half comes from project partners. As soon as all contracts have been signed, the projects will be announced at the Geothermica website. Projects cover a broad range of topics such as heat storage, managing induced seismicity, EGS drilling and completion, production operations, composite casing and integrated applications of geothermal heat. They have participants from the Netherlands, Switzerland, Iceland, Ireland, France, Flanders, Denmark, Slovenia, Germany, Spain, Italy and Azores Portugal. Le nouvel équipement de géothermie des deux villes a été inauguré le 2 juin. Le dispositif entend notamment lutter contre la précarité énergétique des quartiers sensibles. Mis en service l'hiver dernier, le réseau peut d'ores et déjà procurer 124 GWh de chaleur par an, soit l'équivalent de 12.000 logements. L'eau chaude est puisée dans le sous-sol des deux communes à une profondeur de 1.800 mètres ! A ce niveau, sa température atteint 71°C. (From Google Translate)The new geothermal network in the two cities was inaugurated on June 2nd. The scheme intends to mitigate the fuel poverty of sensitive neighborhoods. Put into service last winter, the network can already provide 124 GWh of heat per year, enough for 12,000 homes. Hot water is drawn from the basement of the two towns at a depth of 1,800 meters! At this level, its temperature reaches 71° C.
A contentious proposal to link oversight of California’s electric grid with other states in the U.S. West narrowly cleared a legislative hurdle Tuesday, keeping alive a proposal that has divided environmentalists over the best way to expand renewable energy. The proposal, backed by influential proponents including Democratic Gov. 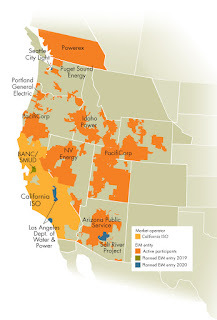 Jerry Brown, seeks to make it easier and cheaper to deploy renewable energy across the western United States. 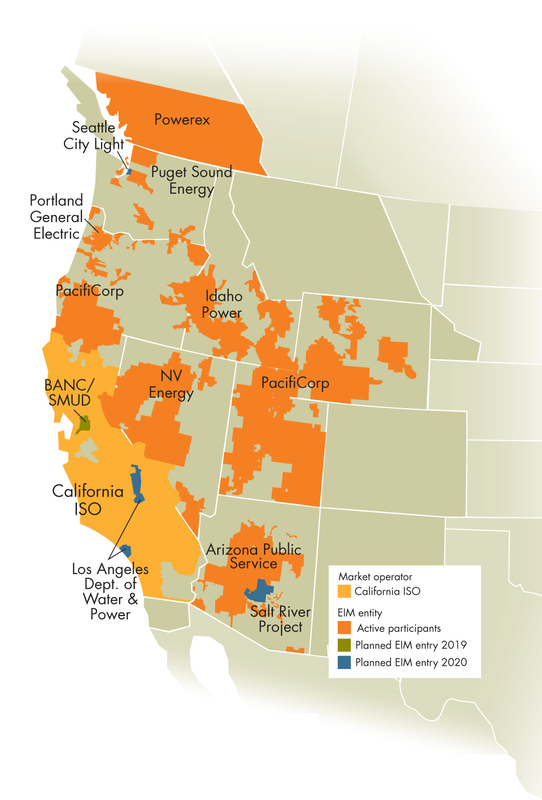 But critics say California would jeopardize renewable energy mandates by sharing grid management with states that use more coal and natural gas— a possibility they see as more likely under President Donald Trump. The proposal approved Tuesday by a Senate committee would transition the California Independent System Operator, which is overseen by a governor-appointed board, to a regional group without political appointees. Global Geothermal News is the award-winning news website from the Geothermal Resources Council - a trusted source for information. 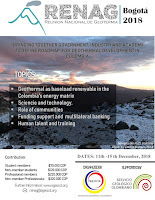 Mexico: Two Day Conference on Geothermal Energy in Latin America - Earlybird Pricing Ends Today! 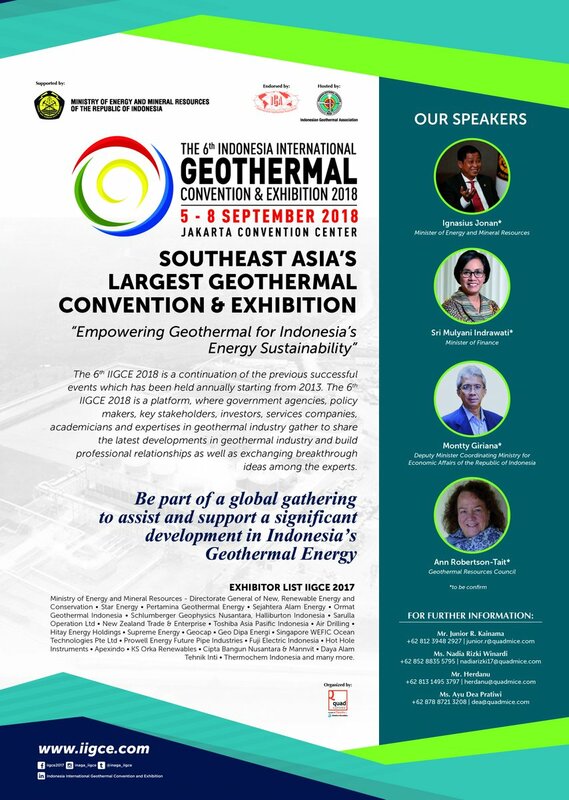 Global Geothermal News is pleased to be a Lead Content Partner and the Geothermal Resources Council as a Partner for the GEOLAC conference. Your clients and counterparties will be with us in Mexico at the 5th Geothermal Congress for Latin America and the Caribbean (GEOLAC 2018); will you? Multilaterals: IDB, World Bank, OPIC, JICA, GIZ, KfW. An information pack was prepared for the debate in Westminster Hall on 19 June 2018 from 2.30-4pm on the Potential for Geothermal Energy Resources in the UK. In the UK, there is a resource of geothermal energy at shallow depths which can be exploited with ground source heat pumps (GSHPs). GSHPs use pipes which are buried to extract heat from the ground. The upper 10–15 m of the ground is heated by solar radiation and acts a heat store. There are some geothermal projects planned in the UK, for the generation of heat, electricity, or both. There is also a commercial plant in Southampton which in 1986, began delivering heat from a borehole to a district heating network, and is now operated by the energy firm ENGIE. A debate took place in Westminster Hall on 19 June 2018 from 2.30-4pm on Potential for Geothermal Energy Resources in the UK. The debate was opened by Helen Goodman MP. A new form of geothermal has big potential for America's energy future. A new infographic breaks it down. There are ~60,000 Oil and Gas wells that have the potential to co-produce heat and/or power through the utilization of already existing wells and exploration data. The Alberta Well Filtering Dashboard was released this morning and is now available on the CanGEA website. The dashboard works like the maps app to assist in locating areas of geothermal potential much like finding the closest coffee on your Monday morning commute to work. The search can be narrowed down into temperature/use (Power/Industrial Heat/District Heat) and distance to existing municipalities and infrastructure. President of Costa Rica, Carlos Alvarado, and the Minister of Treasury, Rocio Aguilar, signed this Monday Law No.9573 which grants Costa Rica a line of credit for $500 million from the Inter-American Development Bank (IDB) –known as Conditional Credit Loan for Investment Projects (CCLIP) – for the development of sustainable electric projects. Some of the projects that will receive financing include, the Geothermal Plant Las Pailas II; the construction of Geothermal Plants Borinquen I and Borinquen II in Liberia; digitization of public services and conformation and expansions of smart cities. 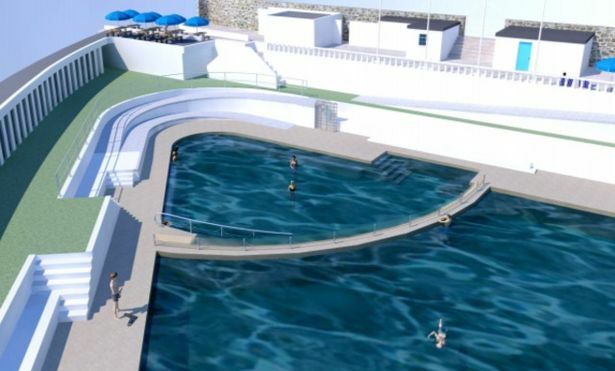 An ambitious project to create a geothermal-heated spa at Jubilee Pool in Penzance has been given planning approval. It will mean the pool can open all year round and drilling has already started to reach the hot rocks which will heat the water. Listed building consent has been granted by Cornwall Council for the project which will create a spa within one corner of the existing pool protected by a glass wind break along a new curved wall. The water level within the new spa pool will range from 1m to 1.4m in depth and will contain fresh seawater heated to 35 degrees centigrade. The heat source for the pool will be from the 1,500m deep geothermal well currently being drilled in the triangular section of land outside the North-Eastern boundary of the Jubilee Pool site. The European Geothermal Energy Council (EGEC) Geothermal Market Report confirms the trend towards the steady growth observed in recent years, but also notes the need for greater recognition in order to enable the full deployment of geothermal energy in Europe.